MINDROT. The year was 1989, and bands like CONFRONTATION, A//SOLUTION, FINAL CONFLICT, APOCALYPSE, GLYCINE MAX, & PESTILENCE were creating noise in the Orange County and L.A. County underground. A good friend of mine Matt Fisher was still singing in CONFRONTATION, and at the time I was merely a spectator of it all. I (Adrian) was thinking about starting a band, and I had a few friends who I had started jamming with. I asked Matt Fisher if he would play bass in the band, and he said sure. Time starting passing by pretty fast as we progressed and starting jamming at little rehearsal studios wherever we could afford. Matt and I started jamming with a few of my friends, but nothing worked out, we needed a guitar player since one of my friends turned out to be not up to playing, and that's when we met Dan Kaufman at a show. One thing lead to another and we started talking to him about bands and told him we were short a guitar player. Our troubles soon began to disappear again when he offered to play in our project still nameless at the time. Matt had acquired his cousin Barry to play drums and he did for awhile, but he wasn't very dedicated so we lost him. So we were down to nothing once again until we had a friend named Al Higdon step in for the drums and he happened to work out good for the time being. 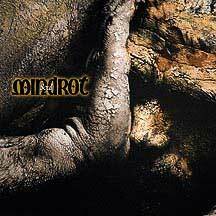 Al remained our drummer for the early sessions of MINDROT and the first three years of our total existence, but he eventually quit due to personal reasons. Soon we were jamming at full speed again and we had about three or four songs, and Dan one day was talking about a guy named Matt Parrillo who might be coming to see us jam at a session to check us out. We then learned that he was talking to Matt to see if he would be interested in being our second guitar player, and before any of us knew what was up he showed up with his gear and we proceeded from there. Matt was previously in a band called CANTANKEROUS. Now with a full band we were practicingtwo to three times a week, and got a bunch of songs together, and next thing I knew were recording our first demo. The demo was done and we were pretty happy, and that's when we all agreed on the name MINDROT. We had starting playing many shows at small clubs, and even in backyards (not for long because of Johnny Law ). We played many shows with large acts and small ones, and quite frequently, we were beginning to make a name for ourselves It was very cool. Once the demo was released we had a lot of positive feed back and we released two 7" EPs after that as well. Our first 7" EP was titled "Endeavor" and our second was a split with APOCALYPSE. We continued to achieve positive results, but to our surprise we suffered yet another loss and this time it was Al (drummer) who quit. Once again we were out a drummer, and we were very upset about the departure and sudden shock Al gave us. Dan although came to the rescue once again when he said that he had a drummer that was incredible, and I mean I was shocked when I heard this guy play! Evan Killbourne, is the guy Im referring about, he was one of those born to play drums kind of person, and he joined MINDROT, and he made the band do a complete 360! Our whole sound changed with Evan's playing he was flawless it seemed and he fit in well since we were a band with no real set direction. Whatever we came up with he accented very well, and it had a beauty you can only experience if you're right there in the moment of writing music. The band went ahead once again, and we rehearsed until we decided to do a "live in the studio" demo with our current producer Jim Barnes. Not too much longer on this same trail we decided to create a promotional demo to shop the labels in the hopes of an interested record label. The promo demo was titled "Faded Dream" and we starting sending them out, but with all that we were doing we didn't get much of a response. Shortly after this point we suffered another loss, and this time it was our guitar player Matt Parrillo who left for personal reasons. We were determined not going to let this one bring us down even though we were bummed about the whole thing. We almost instantly found a replacement luckily...John Flood was recruited to play now, and we had to kind of start from scratch again, but he learned fast. John was a very good guitar player and a piano player so he actually kind of filled a gap in that department. John used to play guitar in RUPTURE (former name before) /CONFRONTATION. Things were going good now, and our next step was acquiring a record label. The story is very long on the whole record label thing..but I can say if it wasn't for friends like Ralph P, formally from Century Media now Metal Blade, and Maria from MBlade, and others we wouldn't be were we are now. The labels we struggled with were Century Media 1st, (What a Joke that was) Then Metal Blade (another Joke) no offense to selected people (you know who you are!!) affiliated to the labels. The whole label hunt thing was a big let down, but we put it aside and financed our own project, and that's when Relapse Records came in to the picture. We were in negotiations with them for a while until we came to a happy medium, and our mini-CD "Forlorn" was to follow in July of 1995. 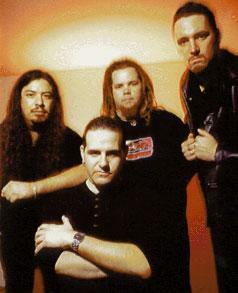 Soon after was the Debut CD "Dawning". In 1998 "Soul" was released on Relapse. 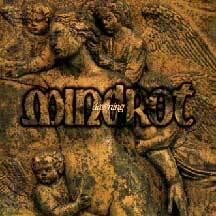 Mindrot are no longer together, and has been that way since about March of '98. We split up mainly because we lost Evan Killbourne, our drummer, to another band. The story got worse when John Flood decided to call it quits, leaving the inevitable to happen. Matt and Dan were determined for awhile to continue on with a new drummer, but I wasn't entirely sold on it, and neither was John. I was going to continue on to possibly tour and say our final farewells, but it never happened, and I can honestly say nothing (sadly) ever happened with us. I believe that is mainly why John quit the band, because he was so mentally drained from it all. The rest of us finally put Mindrot to rest and that is where she has laid for sometime now.